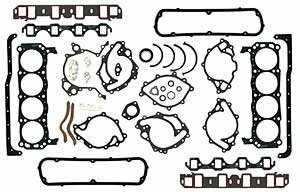 Mr. Gasket Ultra-Seal Overhaul Gasket Kits are designed specifically to rebuild stock engine. They contain all the gaskets and seals required to rebuild the engines. These kits are highly durable and facilitate easy installation. If you have any questions about this product by Mr. Gasket, contact us by completing and submitting the form below. If you are looking for a specif part number, please include it with your message.